Does the entire world love a game that you despise? You are not alone! 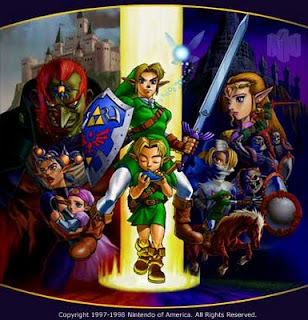 We invited games journalist and brave contrarian Mitch Krpata on the show this week to discuss his criticism of Ocarina of Time, the value of terrible games, love/hate relationships with indie games, and more. As always, you can find Mitch's original article and more of his work in the show notes below. We encourage you to share your own isolating experiences in the comments section below. - What are some games you have disliked that everyone else seems to enjoy? - Is there a value in playing a game you despise? - What are the dangers of universally praised games? I liked the comment about how refreshing it can be to play bad games. It sounds kind of silly, but sometimes you just want to have a really strong reaction to a game. I recently played through some of Duke Nukem Forever specifically because I thought it looked really trashy, and I wondered what it was like to play it. And sure enough, I spent a couple of hours rolling my eyes and thinking the whole game was pretty awful before finally putting it down.